Do You Qualify for Assisted Living? 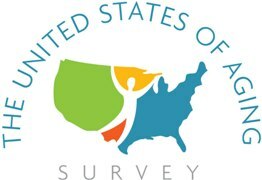 There have been dramatic changes in the demographics and population of assisted living facilities (ALF). Today, ALF’s are accepting residents who –even five years ago — would not qualify for assisted living and, as a result, would need to be admitted to a nursing home. Let’s examine why this has happened and how you can find out if you or a loved one qualify for assisted living. Today, the majority of assisted living residents are people who are residents in their 80’s, 90’s and even 100 years and older. Traditionally, individuals in this age group were only viewed as candidates for a nursing home. ALF do not provide the 24 hour care level one would find at a nursing home, but all have a Wellness Director (RN) and a staff of non-medical home health aides to help you with activities of daily living. In addition, most have a Memory (Alzheimer’s/Dementia) unit for residents experiencing memory loss. Previously, the majority of people with memory problems were relegated to a nursing home. 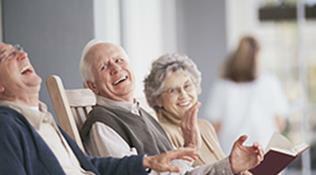 The advantages of living in ALF are many: an ALF enable residents to reside in private rooms or apartments; there are social activities as trips, events and concerts as well as on-site amenities such as salons, cafes and fitness programs; the ALF are about half the price of a nursing home. ALF’s are not for everyone; there are the issues of private pay and a medical assessment (physical and mental) required for admittance. ALF’s are typically looking for two-to-three years of private pay available at admission. So even if you meet the Medical Assessment requirement, you still have to go to a Nursing home. On the other hand, Nursing Homes, will allow you, if you financially qualify, to become a Medicaid patient at admission. Assisted Living Nationwide can help you find the appropriate ALF for you. We can prequalify you by letting you know the monthly rental rates for all the ALF in your preferred geographic location and find the most appropriate ones in terms of your budget, hobbies, interest and preferences. In addition, we can also arrange a medical assessment for you or your family member. This way, you will know if you qualify for an ALF prior to embarking upon tours. This can save you a tremendous amount of time and, most importantly, help you understand your senior living options.